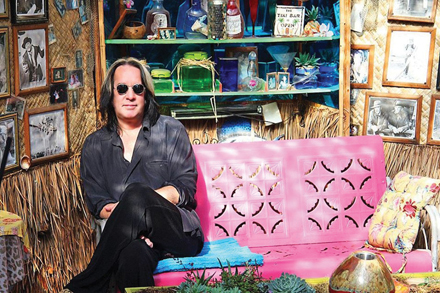 As one of the most prolific and forward-thinking artists/producers of the last 50 years, it’s no surprise that Todd Rundgren would rather keep exploring than nestle into a comfort zone. In fact, that fierce commitment to his current artistic muse over commercialism and a regularly shifting set list is exactly what keeps the faithful coming back for more, especially when the man who’s logged time with Nazz, Utopia, The New Cars and Ringo Starr & His All-Starr Band spends a couple of nights at the intimate Park West. This time through, material from the alternative pop/electronic-leaning White Knight is the main priority, but in a conversation with IE, Rundgren also reveals why he’s refused to slow down (even at 69) and what’s next in the pipeline of continuous projects. Illinois Entertainer: What keeps you coming back to Chicago so often as of late, and specifically, to the Park West? Todd Rundgren: Well, we have a special relationship with Jam Productions, who’ve been the promoters at Park West for I guess as long as we’ve been playing there and we get treated really well. There are some limitations, for instance, the stage size and how many people we can get in there, but that’s solvable by doing multiple shows. We’ve managed to cram some fairly complex things onto the stage and hopefully we’ll be successful with this one. This is a pretty high production show as well. IE: Every time you visit, it’s usually a totally different theme. What’s on tap this time through? TR: While this is the White Night Tour, essentially promoting and performing the recent album, as well as highlighting some other material. Some of it is more recent, but often we get back to songs that people probably remember from decades ago. It’s more of a show actually than a concert. Some people don’t quite know the distinction, but we don’t just get up and play the songs. It’s designed to be entertainment. The running order of the songs is important and there’s a certain pacing to it. I’ve got my singers/dancers up there in front to add to the entertainment value, so yeah, it’s more than just a rendition of the tunes. IE: How would you describe White Knight for those who’ve yet to hear it? TR: It’s unusual in that it has a whole lot of collaborations on it. I’ve recorded most of my records at home in Kauai and that causes them to be one man affairs often, so I decided to be more consciously collaborative. I contacted a bunch of people, some that I knew, some that I never met before, and asked if they’d like to work together. White Knight is substantially the result of that. IE: Tell me about the decision making process of who you called. Was it simply going through your phone or eyeing specific artists for a particular sound? TR: It was a combination of both. There are musicians I’ve known that were just sort of obvious choices, like Joe Walsh and Daryl Hall, and then there were some where I wanted a particular kind of performer and ideally someone who’s work I was familiar with. For some of my listeners, they would be unknown artists like [dance/pop artist] Robyn or even Moe Berg, who some may remember from [Toronto rock band] The Pursuit Of Happiness, though many may not remember her at all. So it was more a question of trying to cover some stylistic grounds, as well as create some interesting interactions between me and the artists I was working with. IE: Who are some of the other artists and scenes that are inspiring you at the moment? TR: At the moment, I’ve been on the road quite a bit and actually haven’t been listening to much music because I’ve been wrapping up my autobiography, which is now in its second draft and I imagine it will be done in another week or so hopefully. I don’t know when they’ve slated it to be published, but that has occupied all my time and thoughts since I finished White Knight, but I expect to get back into some more music making and collaborating with some other artists. I don’t like to name names until I’ve actually got the work in hand because when I was working on White Knight, there were lot of things that didn’t make it to the record simply because I couldn’t convince the artist that my deadline was a hard cut off. So stuff is like half finished, then there are new collaborations that just are beginning, some of which are very interesting. I’m not at the end of that particular process and you’re gonna hear more of it in the not too distant future. IE: How did the autobiography come together? Did you have any methods for collecting so many thoughts and memories? TR: It came together with great difficulty (laughter). It was something that I started like maybe 20 years ago [with many false] starts and difficulty focusing on the particulars. Most of all it reminded me of homework, so that was like being back in school and I didn’t enjoy the thought of it, but I finally sort of knuckled down and got it done and did it in a way that I hope will be accessible. I created a structure that made it easy for me to write and ideally also the way that I would want to read a book. Most books you have to start at the very beginning and read them linearly to get the full story and I’ve written it in a way where every chapter is a page, so if you open a book anywhere, you’ll get pretty much the story of an episode in my life without having to depend on having read the other parts of the book. 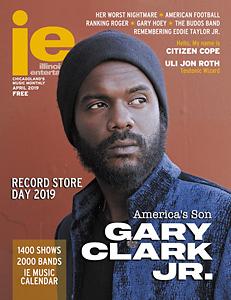 IE: Going back to music, how have you managed to stay so prolific after all these years? TR: ‘Cause I keep absorbing influences from other musicians. When it’s time to do a record, I go out and start researching what it is that people are listening to, what’s popular and even what’s on the fringes. I ask my youngest kids what they’re listening to and they give me names of obscure artists that only the young, underground know about. So I find that there’s still challenge in it, there are still things that I can say and different ways to say it, so I enjoy doing it. I guess life as an entertainer is kind of what people think is the life of a musician and they’re two different things. You can stop entertaining, but you don’t stop being a musician. It’s not that I plan to stop touring or anything like that, but I’ve never toyed with the idea of never writing again and just singing the stuff that I’ve already written. IE: Why has it always been so important for you to keep creating rather than coast on nostalgia? TR: (Laughter) The process of aging is the process of essentially stopping doing things. You stop running, you stop climbing ladders (laughter), you stop throwing baseballs, you stop eating foods that upset your stomach. It’s essentially [wrapping up your life] one thing at a time and I kind of like resisting that. IE: Do you ever wish you didn’t have such huge hits and the expectations of casual fans to play certain ones or do you find audiences are coming along for the journey no matter where you decide to take them on a certain night? TR: I think for a significant segment of my fan base, that’s part of what binds them to me. It’s that constant [state of creating where] you’re never sitting on your laurels. You’re never satisfied with what has been accomplished. There’s always so much more to be accomplished and I think most of the people that are in my audience have some idea of that sensibility. After years and years of me not playing “Hello It’s Me” in the show, it’s surprising every once in a while [when] someone will show up who thinks that after [1972’s gold-selling] Something/Anything? I stopped making music, and if they happen to go to a show, that they’re just gonna hear “Hello It’s Me,” “I Saw The Light” and everything that they remember. But I’ve been making music ever since and I’m gonna play that music. Todd Rundgren appears at the Park West www.parkwestchicago.com Saturday, December 16 (sold out) and Sunday, December 17 (tickets). Moe Berg from The Pursuit of Happiness is a guy. Not that it really matters a whole lot. What matters more is that his genius was well-stirred by Todd Rundgren.